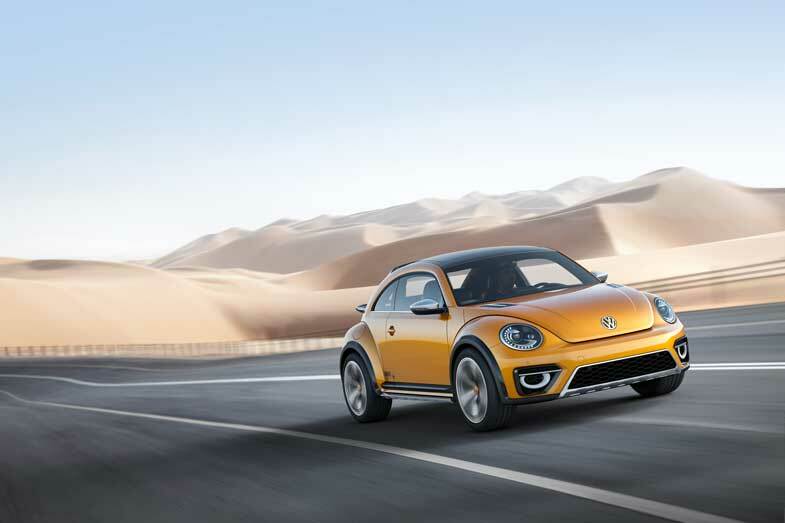 The Beetle is a phenomenon, regardless of where it shows up in the world: People are always happy to see this car, whether it’s the coupe or the Convertible. 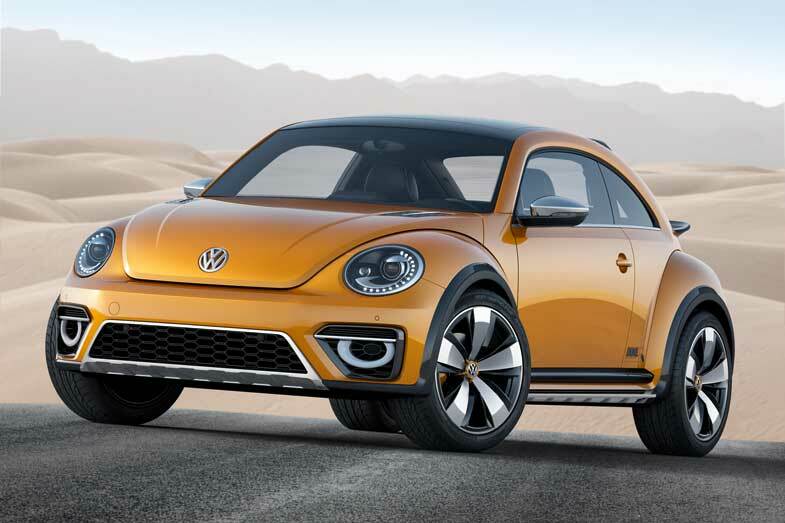 With the world premiere of the Beetle Dune at the North American International Auto Show in Detroit, Volkswagen is giving the public the chance to see a Beetle with a cool offroad look. 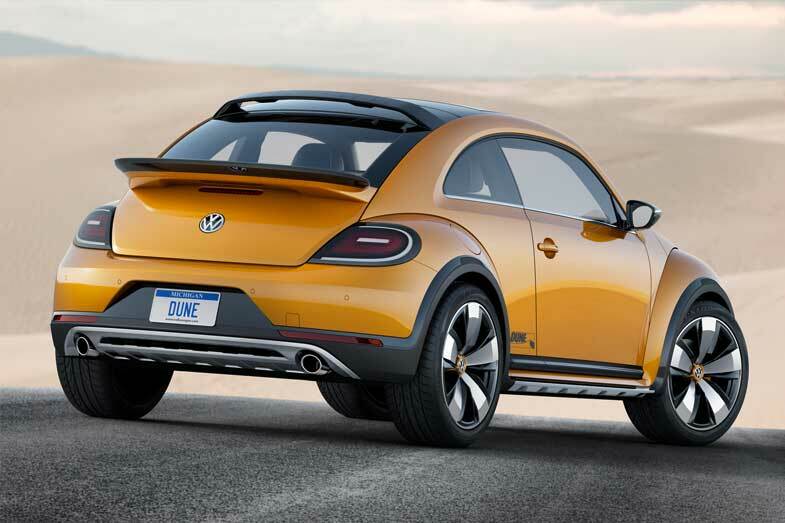 The Dune concept shows the potential for a new production version of the sportiest Beetle ever. The concept is painted in “Arizona”, a yellow-orange metallic, with two-part wheelarch extensions that are offset in black. Like the Cross Golf, these extensions are rugged looking elements with a matte finish. There’s one subtle difference here, though: integrated on top of the main matte parts are 0.06-inch-thick gloss black “blades” that appear to hover above the massive wheel housings, because they do not make direct contact. The wheel housings widen the body by 1.1 inches per side to give a total width of 73.4 inches, an increase of 2.2 inches over a stock Beetle. Overall, the Dune has grown compared with the R-Line model on which it is based. The overall length has increased by 0.5 inches to 168.9 inches and the car is both 2.0 inches higher off the ground and 0.8 inches taller. Interior: The Dune team also revamped the interior, with two particular areas of attention. First, the dashpad—painted in the “Arizona” exterior color—doesn’t have the classic “kaeferfach” (or Beetle bin) on the passenger side. 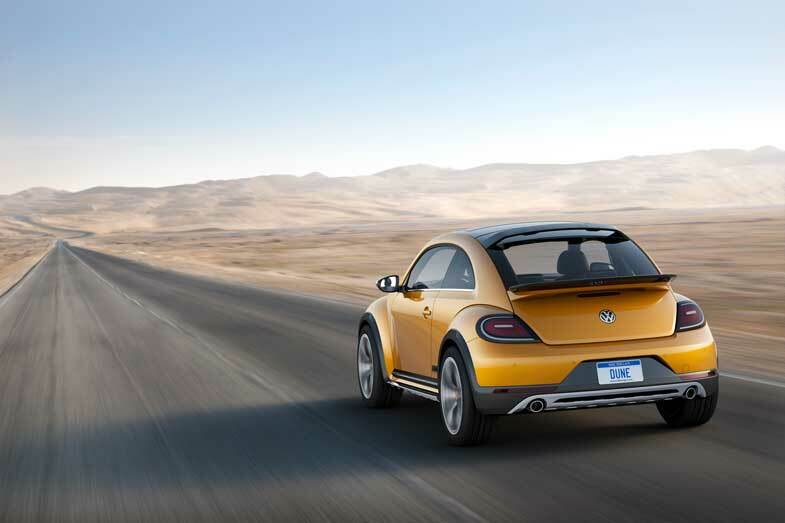 In this car, it has been replaced by another classic original Beetle feature, a grab handle that features contrasting black soft-touch material with “Arizona” and aluminum accents. 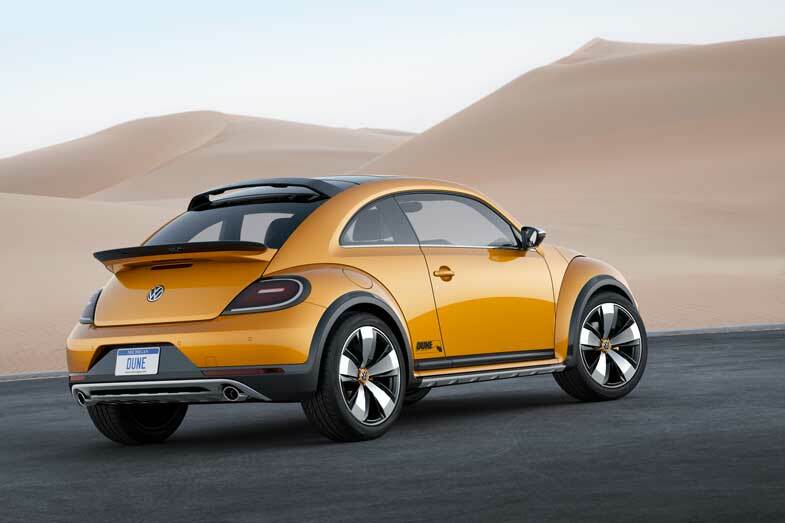 The Beetle Dune Concept integrates the “Volkswagen Sideways” app—a program that proactively integrates POIs into the navigation system. For example, the touchscreen not only displays the types and numbers of restaurants nearby, but also whether your friends are there. Upon request, the navigation system can guide the driver and the Dune right to the restaurant. The Sideways app also integrates information such as the weather in the POI instructions, so the driver would not be guided to an outdoor swimming pool in winter, for example.